Anguish and anger has erupted across Pakistan since Sunday after two suicide bombers killed dozens of people as they were leaving church services. The bomb attacks took place at 12:15 p.m. on Sept. 22 as about 600 people were leaving worship services at All Saints Anglican Church in Peshawar, the capital of the war-ravaged Khyber Pakhtunkhwa province in northwestern Pakistan, along the Pakistan-Afghan border. At least 96 people, including children, were killed. One family lost six members. About 150 others were injured, about a dozen critically. The powerful explosions left bodies and blood strewn across the church grounds. As expressions of sympathy poured in, protests broke out across the country, fuelled by grief and by accusations that the government does too little to protect religious minorities in the Muslim-majority country. One person died in the protests. Protests continued today in Peshawar, Karachi, Islamabad, Gujrat, Sialkot, Narowal, Kasur, Toba Tek Singh, Faisalabad, Okara, Vehari, Sahiwal, Khanewal, Multan and Quetta. In Peshawar, five further funerals have taken place, of those who had been in intensive care. Government officials joined Pakistan’s top clerics in demanding heavier security for minorities, and expressed second thoughts about attempting dialogue with militant Islamists. Archbishop of Canterbury Justin Welby, head of the worldwide Anglican Church, to which All Saints Church belongs, sent condolences directly to the moderator of the church in Pakistan, Bishop Samuel Azariah. “I am appalled to learn of the attack on All Saints’ Church in Peshawar as people had gathered there to pray. My heart goes out to all those bereaved and injured by this terrible attack,” he told Azariah. Peshawar bomb reveals depths of human evil, yet those suffering speak of forgiveness as well as justice. That is the love of Jesus shown. 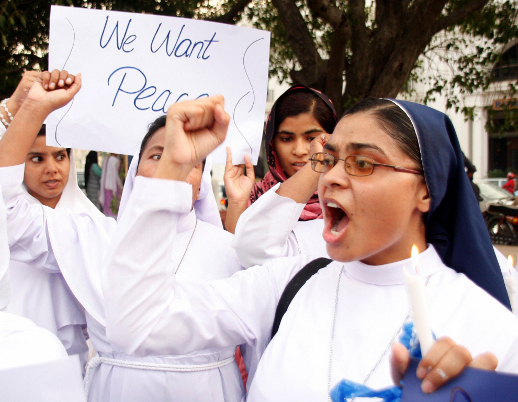 Joseph Coutts, the Catholic archbishop of Karachi and president of the Pakistan Catholic Bishops’ Conference, called the attack “a shameful act of cowardice.” He said it “proves” that “increasing religious and sectarian intolerance … has reached alarming proportions”, and insisted on increased police protection at places of worship. The All Pakistan Ulema Council, an association of Muslim clerics and scholars, branded the attacks as “shameful”. “We are with our Christian brothers and sisters in this time of grief and sorrow,” council Chairman Allama Hafiz Tahir Mehmood Ashrafi said on Sunday. Also on Monday, the PTI issued resolutions in the provincial assemblies of Punjab and Khyber-Pakhtunkhwa, decrying the attack and expressing solidarity with Pakistani Christians. Five Parliament senators of the centre-left Pakistan People’s Party proposed on Monday that the upper chamber set aside current business and address the violence. Their motion accuses the government of failing to protect minorities. In Peshawar, police Supt. Ismail Kharak said a four-member committee has been created to investigate the bomb attacks, and that a new plan to provide security to minorities has been created. The plan involves increased police patrols at religious sites, he told Independent News Pakistan. A BBC reporter confirmed that there was no closed-circuit television (CCTV) at All Saints Church. All Saints Church, dating from 1883, resembles a mosque, in an apparent bid for harmony. One provincial lawmaker, Fredrich Azeem Ghauri, said there are about 200,000 Christians in the province, of whom 70,000 live in Peshawar. Eyewitnesses said two young men detonated suicide vests, one outside the church and, within 30 seconds, another inside the church. “Right after the service, food was being distributed as a thanksgiving by some families when two blasts took place, one after the other,” All Saints Church Vicar Ejaz Gill told World Watch Monitor. 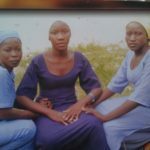 Many Sunday School and choir members were among the casualties, including women teachers; at least seven children died. The injured were shifted to the Lady Reading Hospital in Peshawar immediately after the incident. A Christian-rights organisation, The Voice, said no proper medical treatment had been given in the children’s ward until the second day. 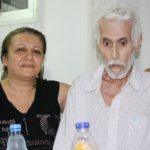 Aneeqa Maria, the head of the organisation, said she was told that the provincial government did not allow the Christians to hold a demonstration protesting at the lack of emergency medical facilities; it also forced the bereaved to bury their dead within a few hours after the incident. Eighty-one of the victims were buried on Sunday, according to Bishop Sebastian Shaw, apostolic administrator of the Lahore Catholic Archdiocese. Independent News Pakistan reported on Monday that the burials were conducted at three locations. 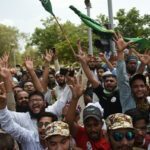 Protests broke out across Pakistan after the bombing, disrupting traffic and causing dozens of injuries, reported Independent News Pakistan. Demonstrators, many of them Christians, burned tyres on highways between Peshawar and Karachi; protesters on the roads in Islamabad and adjacent Rawalpindi caused traffic to divert. A woman motorist was killed and her son seriously injured in an accident amid the congestion, Independent News Pakistan said. In Lahore in the northeast, angry protesters blocked a highway and crowded in front of government buildings. The news agency also reported that demonstrators converged on the public square in front of Parliament in Islamabad and staged a sit-in. In half a dozen towns surrounding the southern coastal city of Karachi, protesters burned tyres and threw rocks at vehicles. Hundreds of people blocked Karachi’s longest road, Shahrah-e-Faisal. They clashed with police when they tried to clear a road in Isa Nagri, a low-income Christian neighbourhood. Police used tear gas to break up the crowds. Inside Karachi, hundreds of Christians joined protests with black armbands at St. Patrick’s Cathedral. About 100 kilometres inland from Karachi, in Latifabad, a suburb of Hyderabad, Christians staged marches. Protests were so widespread and disruptive that they produced a secondary backlash of their own. Citing a “senior government official who requested anonymity,” the Lahore Times reported that authorities had received numerous complaints from people who could not get to the airports or hospitals because of the crowds in the streets. Responsibility for the attacks on the All Saints Church has been claimed by Jandullah (“Soldiers of God”), which is part of Tehreek-e-Taliban Pakistan, or TTP, and closely linked with Al-Qaeda. Some report they are linked to U.S. drone strikes in northern Pakistan and Afghanistan. The attacks came on the day after International Peace Day, and only days after Al-Qaeda chief Ayman al-Zawahri issued his first specific guidelines for jihad, urging restraint in attacking other Muslim sects and non-Muslims. 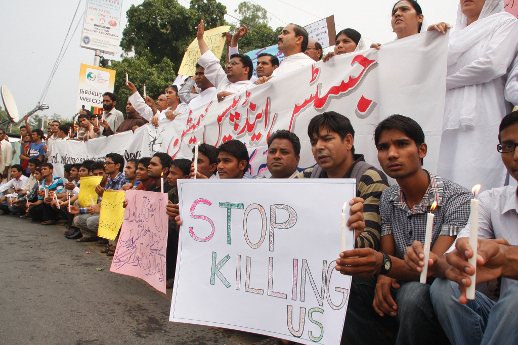 The bombings have heightened the already-present sense of insecurity among Pakistani Christians. Gill, the All Saints Church vicar, said there was no warning issued; otherwise, he said the church would have taken stringent measures. “There were only three policemen outside the church,” he said. 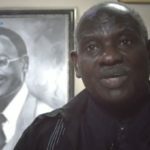 “From this coming Sunday we will have our own security men”. Peshawar Bishop Peters told World Watch Monitor there was no warning of attack, though he said intelligence agencies had warned of a possible attack in the city of Dera Ismail Khan, which also falls within his diocese. After May’s national elections, former cricketer Imran Khan’s Pakistan Tehreek-e-Insaaf, or PTI party, took power in Khyber Province. He has been criticised for being soft on Taliban militants and favouring talks instead of military action; many say that militant groups are now operating in the province more freely. Since 9/11, no suicide attack specifically targeted at Christians has taken place in the province. Suicide attacks have been primarily carried out on Shiite worship places or on Sufi shrines, or security personnel and their facilities. Napoleon Qayyum, a member of the Opposition Pakistan People’s Party, to which former president Zardari belongs, said all major attacks on Christians have taken place during the PML-N’s tenure in the province of the Punjab province, home to Lahore, Pakistan’s No. 2 city. During national elections in May, the PML-N took control of the National Assembly. “Now they have come into the federal government since this May,” Qayyum said, “and they’ve been quite soft on terrorist organisations, these suicide bombings have taken place in another province,” meaning Khyber Pakhtunkhwa. While the PML-N controls the national government, the PTI party controls the Khyber Provincial Assembly. A PTI member of the provincial assembly told World Watch Monitor this was the 210th suicide attack in the province in the last five years, while only two had taken place since the PTI came into power in the province in May. Khadim Hussain, a Pakistani political analyst, told World Watch Monitor the attacks on the church were of great significance when seen in the context of NATO’s planned pullout from Afghanistan in 2014. “The Taliban would like to see populations divided between Muslims and non-Muslims, and such attacks would bring more sympathisers close to them, who they could then use to capture Afghanistan after the U.S. and NATO withdrawal,” he said. He also said such attacks could escalate in coming days against religious minorities. Similar attacks are not new to Pakistan. In October 2001, Catholic church St. Dominic’s was attacked with indiscriminate firing that killed 17 worshippers. In March 2002, hand grenades were thrown in the Protestant International Church in Islamabad that killed six people including a U.S. diplomat’s wife. Then in August 2002, the chapel of Taxila Christian Hospital was attacked where three nurses died. Since then, no such serious attack on a church has taken place. 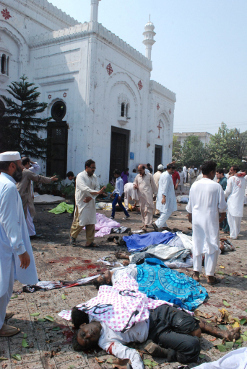 Sources in Pakistan believe this implied that the terrorists perceived they could not achieve their objectives by attacking Christians: their deaths did not appear to bring any change in international policies; neither does the beleaguered Christian community maintain any political strength that could be crippled by such attacks. 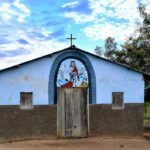 On the other hand, in Pakistan there have been incidents of mob violence against the Christians who make up only about 2.5 per cent of the population. In August 2009, seven Christians were burned to death in communal violence in Gojra, Punjab and more than 100 houses were burned. In March this year, more than 50 houses were set on fire on the pretext of blasphemy, in the city of Lahore. Such incidents have been routinely taking place and their recurrence has dramatically increased since 9/11. On Monday, Pakistan People’s Party Member of the National Assembly Nafisa Shah, along with her father, the Sindh Chief Minister Qaim Ali Shah and Senator Raza Rabbani visited the injured in the Lady Reading Hospital. Shah told World Watch Monitor the visit was heart-rending and brought tears to every eye. “This is not an attack on just one community but on the entire country,” she said. Shah also urged the provincial and federal governments to bring the culprits to task and to provide maximum compensation to the bereaved families. The provincial chief minister has promised $6,000 compensation for every bereaved family, and $2,000 for every person injured in the attacks. However, the Civil Society Organisations Network in Islamabad described such offers as a “huge insult” to the bereaved, and said political denunciations of the perpetrators as ‘inhuman’ were at odds with plans for peace talks with the Pakistan Taliban. The government has ordered three days of national mourning, following the example of all church institutions, which have closed for three days of prayer and peaceful protests. Muhammad Ramzan Chaudhry, chairman of Free Legal Aid Committee and Pakistan Bar Council, has offered affected families free legal assistance to pursue their claims for compensation. He said Pakistan faces a “fast-deteriorating law and order situation, and the utter failure of law enforcement agencies to check and control such terrorist attacks, which now have become a routine affair”. What the country needs now, he said, is “a foolproof practical strategy and plan for improving law and order, to ensure the safety and security of all, especially the minorities”.